Dr. Yohei Shimokochi has a Master degree in Education at Nihon University Graduate School in Japan and completed his PhD in Exercise and Sport Sciences at University of North Carolina at Greensboro. He is a NATA-BOC certified athletic trainer and advanced accredited training instructor in Japan Association of Training Instructor. He has established his line of research in investigating mechanisms of anterior cruciate ligament injury and its prevention in both laboratory and field settings. Dr. Shimokochi has published 18 peer-reviewed academic papers and presented more than 60 abstracts at international, national, and regional levels. 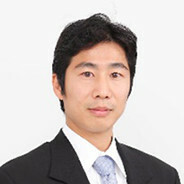 He is currently an associate professor at Osaka University of Health and Sport Sciences (OUHS) and the graduate school. He also serves as a strength and conditioning coach for the OUHS women's handball team and has contributed their 3 consecutive victories in the last 3 all Japan intercollegiate handball championships.